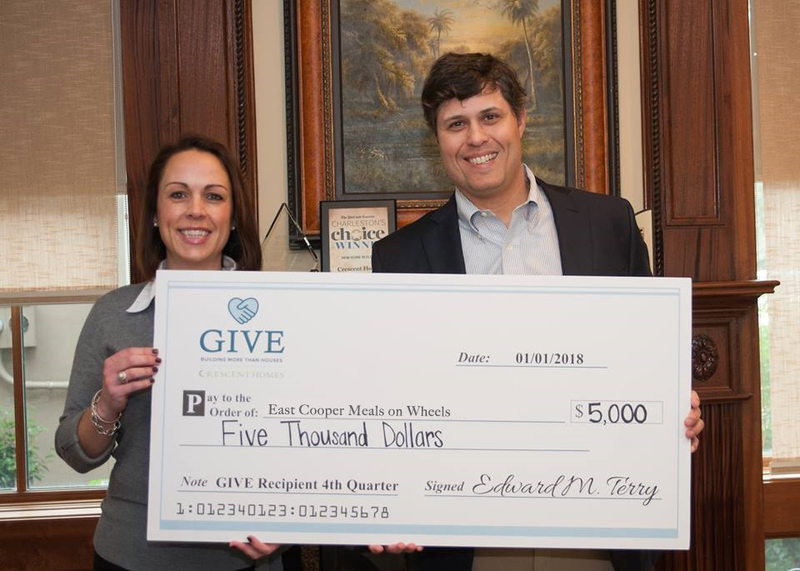 Since launching in Charleston in April 2017, Crescent Homes’ first philanthropic program, GIVE, has far exceeded expectations. 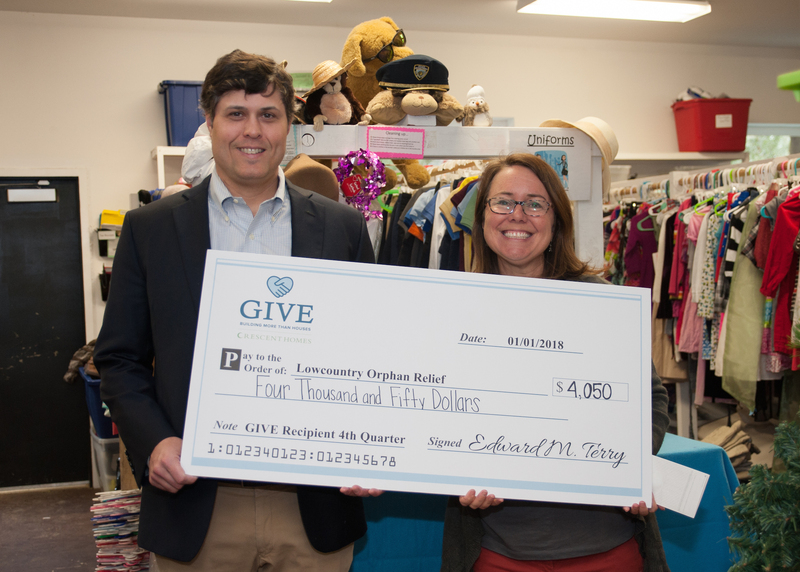 Through GIVE, the company has given a total of $62,500 to 15 local Charleston nonprofits and expanded the program to Nashville. With no annual cap on the amount eligible to be donated, Crescent Homes looks forward to even larger gifts in the years to come. GIVE donates $250 toward a local Charleston charity with every home sale. Partnering with five different local non-profits every quarter, Crescent Homes allows homebuyers to select which group to support, and a donation of $250 will be given in their name to the foundation of their choice. Committed to always going beyond the standard, the GIVE program is Crescent Homes’ way of giving back to the places that have welcomed us with open arms. 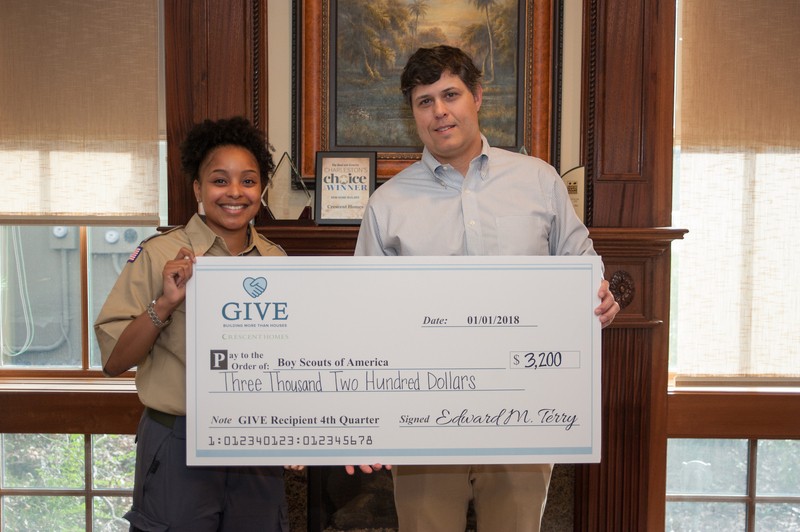 In addition to monetary donations, it is GIVE’s mission to connect homebuyers with incredible, local organizations, spreading awareness and forging relationships within the community. 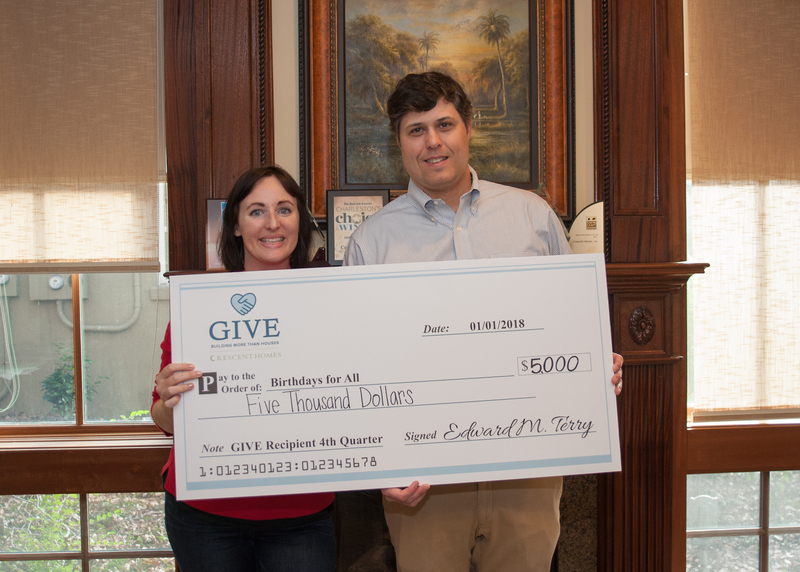 Birthdays For All believes that every child deserves to feel special on their birthday, providing birthday gifts for foster children in the lowcountry. The 100 year old organization, Boy Scouts of America, builds character, confidence and knowledge through outdoor adventure, allowing boys to learn and grow in nature by understanding the importance of wildlife preservation, survival skills and teamwork. 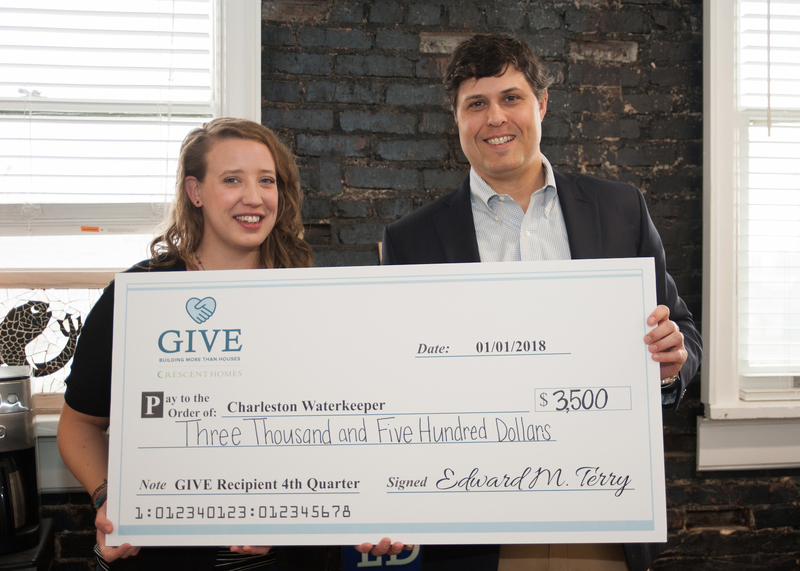 Protecting and defending the tri-county area’s most valuable asset, our waterways, Charleston Waterkeeper advocates for the right to clean, safe water. Lowcountry Orphan Relief works directly with other groups, schools, foster parents and government agencies to address the needs of local children in severe situations, providing clothing, toiletries, books and school supplies, contributing libraries to shelters and taking children on outings. When cooking becomes too difficult, Meals on Wheels steps in to provide home-cooked meals and a friendly visit to low-income seniors, allowing them to continue living in their homes. The local Charleston adoption center and veterinary clinic began as a simple “Adopt a Pet” column that ran weekly in 1978. Forty years later, Pet Helpers remains the only facility of its kind, an independently owned, innovative pet rescue facility servicing the Lowcountry. For over 20 years, Operation Home has been helping Charleston folks remain in their homes by improving the safety and accessibility. From major home repairs and adding a wheelchair ramp to installing air condition units and space heaters, the organization works with low income families in need to ensure their homes are livable and safe for years to come. Darkness to Light is committed to the concept that prevention begins with education, and works tirelessly to empower responsible adults to assist in the fight against child sexual abuse. Through education and training, the group brings awareness to the issue so that others may prevent, recognize, and react responsibly to child sexual abuse. A baseball league dedicated entirely to the happiness of children and adults with special needs, the Charleston Miracle League has a specially designed, rubberized baseball field and recreation complex so that players of all abilities can participate in this life-changing sport. One80 Place is committed to preventing and ending homelessness, one person at a time. Through rehousing, job training, healthcare and more, the group works with individuals and families to turn their lives around. We feel honored to be in a position to shine a light on these amazing organizations throughout the Charleston area. Giving back to the place we call home feeds our mission of always going beyond the standard and preserving this incredible community. We are so excited to see what the future holds for the GIVE program.